The majority of us try to discern different behavioral actions by our senses; what we can feel, see, smell or touch. Spirits are something we cannot see with the natural eye, but we can sometimes feel their presence and smell them, determining what type of spirit. Too many times we focus on the senses rather than the spirit realm, this is why we fight against people rather than fighting against the spirit or spirits that are using them. Stop hating people, and pray against the spirit’s that are influencing them. 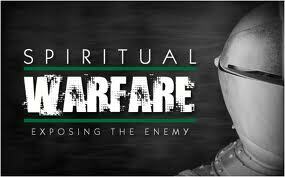 How do you fight; you see what action is being manifested and you pray the Word of God against it. If it’s hatred, bind the spirit of hatred in Jesus name, and lose the spirit of love. Ungodly spirits are negative and angelic spirits are positive, if its gluttony, bind gluttony and loose temperance. Reminder, before anyone goes into a spiritual battle, they must be a born-again Christians with the Spirit of God living within their spirit. They should be committed to the Word of God, demonic spirits will not come subject to someone that’s living opposite of God’s Word. Before going into spiritual battle, make sure you have your armor on which is having your loins girt about with truth, having on the breastplate of righteousness, feet shod with the preparation of the gospel of peace, shield of faith, the helmet of salvation and the sword of the Spirit (Word of God). Sometimes we’re praying and we should be confronting the spirits that are frustrating us, making us angry and hurt. Jesus instructed His disciples then and now, whatever we bind on earth would be bound in heaven, and whatever we loose on earth will be loosed in heaven. What are you taking authority over or are you just continually spirits bring havoc in your life and family? Whether you are a believer or unbeliever, Satan’s goal is to steal, kill and destroy. You can’t fight in this battle if you are still allowing Satan to rule in your life. He and his co-host only recognize the Spirit of God and the Word of God. Every born-again believer that has been baptized in the Holy Spirit have Him living within them, Greater is He that lives in you than he that lives in the world. Fight for your family, fight for your community, fight for this country and we do that by prayer, fasting and praying the Word of God.